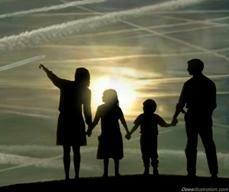 We need to stop the chemtrail spraying of Santa Cruz County and the entire state of California ASAP! 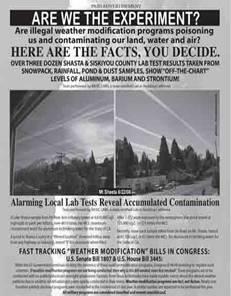 Chemtrails, Chemical trails or Aerosol spraying, are a very real threat to Santa Cruz County, and humanity on a global scale and must be stopped. I n Monterey, approximately 100,000 residents were exposed to untested chemicals to control the mating habits of less than 750 moths. In Santa Cruz County, over 100,000 residents will be exposed between 11/06/07 – 11/09/07 to untested chemicals to control the mating habits of less than 9,000 moths. This is not a one time application, but will continue monthly beginning again in February, for nine months, and then repeated for up to a total of three years. Again, this program designed to eradicate the moth at best will only control the moth's mating habits; it will not eliminate the moth. At worst, the program will be ineffective, cost tax payers millions of dollars, and cause permanent disability to residents and their pets. 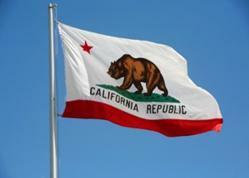 All this harm is over a little moth that has yet to cause even $1 of damage in California. ..... This Light Brown Apple Moth Eradication could cost California tax payers more than $500 million dollars when all is said and done, which is five times the projected amount of losses to the agricultural industry if the moth were to infest the state. .... I lived forty miles from the October-Monterey spray zone, and on the last day of aerial spraying, my entire family became ill. My daughter vomited. I had severe intestinal distress and could not eat for several days. I felt nervous and anxious, as if I had the caffeine equivalent of 10 cups of coffee. And for the first time in my life, I had yellow/red colored urine (I am now mostly recovered). And here's something that didn't even go into the Clouds of Death thing - part of the reason of chemtrails is to CUT-OFF the earth from the upper etheric frequencies of the planet, namely THE ANGELIC KINGDOM. From an occult viewpoint, they knew as I do, that the emerging Christ Spirit - his so-called "return" would be as the Heart Center of the Sun, took over and animated, the etheric body of Earth, via the Christ Spirit. To prevent this forward step, and to insure that the planet would then become a separated planet of rich, Satanic meat-sacks, all becoming tomorrow's lunch for the Annunaki. To stop this, they have to cut the planet's life blood off from the source. Basically, they figured out a reversed engineering way to prevent the etheric growth of the planet. CHemtrails was that answer. 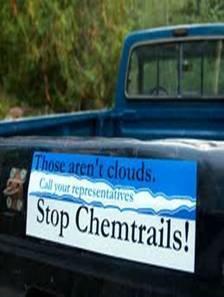 and The Santa Cruz Chemtrail Action Network. Love your site. Thanks so much for your invaluable work. Just want to give you a quick update on the Chemtrail situation in Santa Cruz, California. 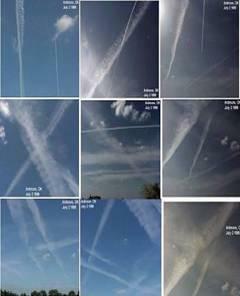 They spray us virtually every day, with very rare exceptions. 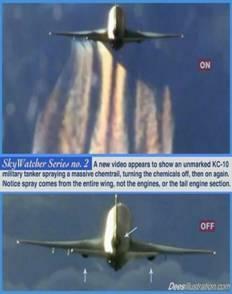 I woke up to what was happening in our skies about a year and a half ago. I don't even remember how I came across the information, or if someone told me. Anyway, I started to research online, and started to look up. Over the weeks, it became very apparent that this was very real. The shocking thing was that everyone was going about their day, walking along, and no one was saying anything! It was driving me nuts. How could people not notice! It was so obvious! And this was Santa Cruz, supposedly one of the more aware and conscious forward thinking cities in the United States!!! "This is unbelievable" I thought. Finally, I just couldn't take it any more. 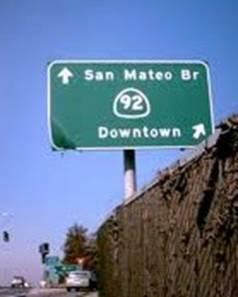 I went downtown to our "pacific garden mall" on a Saturday afternoon, with a big sign that said: "WAKE UP SANTA CRUZ! 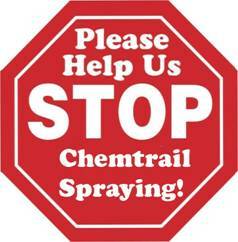 YOU ARE BEING SPRAYED WITH CHEMICALS!" While some people just walked by and rolled their eyes, a few came up to me and passionately thanked me. Evidently they had been watching this for years, and they didn't know what to do. I was outraged and encouraged. Little did I know it was going to start a 21 month journey that was going to change my life. I started making up some flyers, and talking to anyone and every one that would listen. Sometimes I talked even if they wouldn't listen! I was convinced that if I could just get people to look up and wake up, they would thank me later. I moved through all the levels of disbelief and denial, and quickly got over my self consciousness, or of needing to "look good". I was outraged, and determined to wake up my community and friends, whatever it took. I got an article in our local "Connection" magazine, which for ten years has been publishing the truth at all costs. Then another, and another. More and more people started to listen. I made more flyers and hosted an event. I had connected with Will Thomas by then, and with his support continued my journey. I knew there were websites all over the country, as well as yours and Carnicom.com, with information on the Chemtrails, but Santa Cruz had been strangely silent on the topic. Until I started opening my big mouth! As the months progressed, we did several radio shows, more posters and flyers, and just talking it up everywhere. Now thousands of Santa Cruz residents have been exposed to the strange truth of what is happening in our skies, and the word continues to spread. Early on, one of the people who came to my meeting started a website: <http://www.chemtrails911.com>www.chemtrails911.com and now, a year later, we are approaching 6,000 hits! We also have a core action group of people who are fed up with the silence and denial, and are committed to exposing one of the most outrageous, illegal and destructive events that has ever taken place on this planet. 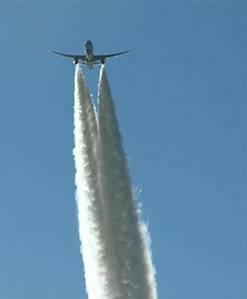 Our goal is to make Santa Cruz a Chemtrail Free/No Spray Zone, and an example for other cities to follow. As you know Jeff, this is a hugely serious, and eerily unreported ongoing event. Please pass this on to your readers. Together we can stop this assault on our health and rights. Please go to our site, and join our email list. We want to network with good people everywhere who are committed to reclaiming our skies. Let us know your successes, and we will share ours. Solidarity is the key! 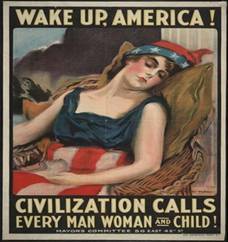 Our motto is: Wake up, Look up and Speak out! This issue transcends all differences of right and left, religious belief, or anything else. And it is a perfect smoking gun for an agenda that effects everyone. The fact that they deny it, while we see it happening day after day, is, simply, sinister. It's time for it to stop! Thank you Jeff for your support. We have a link on our site to yours. Any way you can help would be a great boon to our work. Sep 09, 2009. they were at it again. 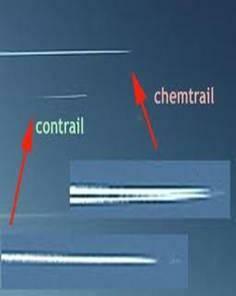 Chemtrails in Sanra Cruz County. Ever felt you were being sprayed like an insect? This was taken by my daughter while she was out today.